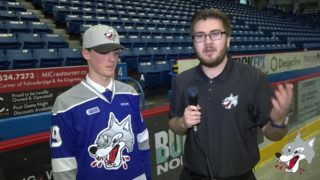 The Sudbury Wolves kicked-off their three game road trip at the Peterborough Memorial Centre Thursday as they faced-off against the Petes. With final shots on net 36-33, the Petes captured the two points as they took a 5-2 win over the Wolves. 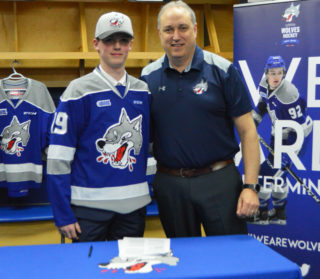 Quinton Byfield and Nolan Hutcheson were the lone goal scorers for the Wolves, while Owen Robinson and Blake McConville both earned assists. The Petes set the tone early, coming out in full force as Nick Robertson launched a rocket of a shot 0.34 seconds into the game past Jake McGrath to give the Petes a 1-0 lead. Strong efforts from Drake Pilon, Byfield, and Shane Bulitka didn’t go unnoticed as they had multiple chances to score on Hunter Jones, however they couldn’t get past him. As the clock wound down in the first, Declan Chisholm gave the Petes as 2-0 lead as he beat McGrath right off the face-off. 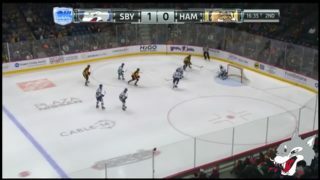 The Petes led shots on goal 16-14 after the first. 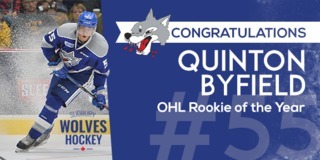 Less than two minutes into the second, Quinton Byfield lit the lamp and gave the Wolves their first goal of the game, cutting the deficit in half with a beautiful pass from Robinson. The Wolves laid on the pressure as they tried to tie up the game. They had no such luck as after 12 minutes of play, Pavel Gogolev scored unassisted with a wrist shot through the five-hole. In the third, the Wolves were strong on the penalty kills, with nothing getting past the blue line 5-on-3. Byfield had a good setup for Levin but he was unable to get the shot off. 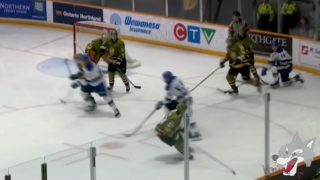 At the mid-way mark, Nick Isaacson scored for the Petes to bring their lead to 4-1. Not 20 seconds later, Nolan Hutcheson fired in a shot on Jones and scored to cut the Petes lead in half. In the final minutes of the game, Head Coach Cory Stillman pulled McGrath to give them the extra man in hopes of evening the score. Unfortunately, Jones shut down the Wolves on every opportunity they had, leaving Brady Hinz to score on the empty net and close out the win for the Petes. The Wolves will look to rebound as they make their way to Kingston Friday to face-off against the Frontenacs for the second time this season at 7:05pm. This game will mark game two of their three game road trip. 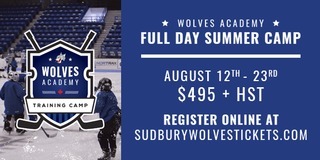 Fans can follow the Wolves on the road by tuning into the live play-by-play on CKLU 96.7 or by streaming it live on mixlr.com/sudburywolves.